I see the look on your face, and I see the sweat beading up on your forehead. There’s a gift-giving occasion coming up – birthday, Christmas, retirement? – and you are terrified that you may have to step foot into a.. *gulp* CRAFT STORE to get him or her a gift, right? She’s using words like “bobbin,” “decoupage,” and “Pinterest,” right? Well, first of all, take a deep breath. Grab yourself a glass of wine or a soda. If you give me just a few minutes of your precious time, I can give you some insight into the crafty mind and make some suggestions for great gifts that your loved one will be thrilled to receive! And although you can get many of these items at your local retailers, I’m linking all of my suggestions to Amazon products so you don’t even have to leave the house to pick that perfect gift. 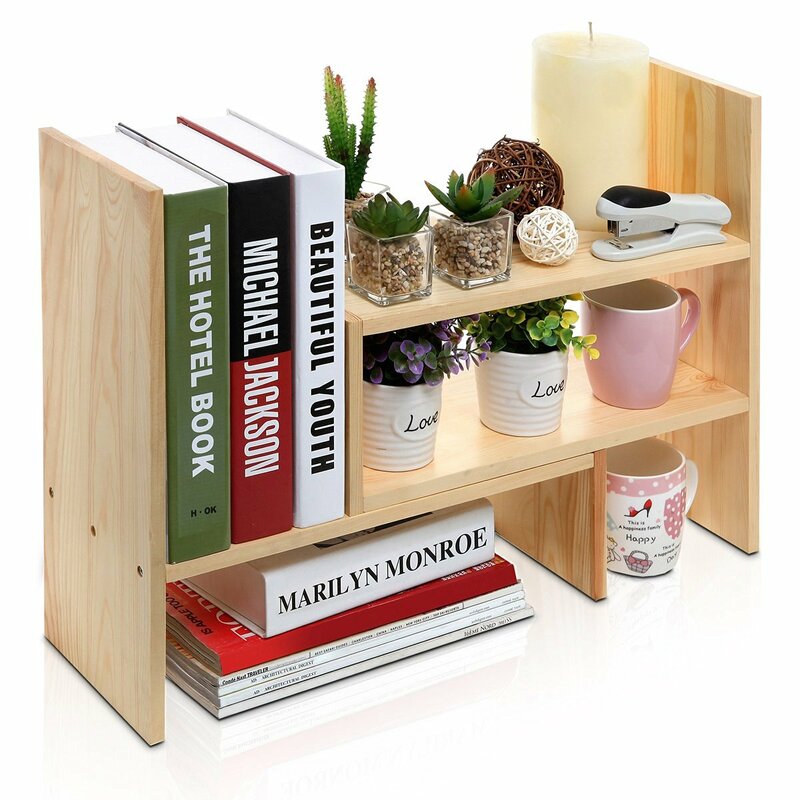 Let’s explore some great crafty gifts by price range, shall we? First, let’s tackle a Secret Santa, office gift, gift for someone you don’t know that well, or just a “happy” to cheer up a friend. You’d be surprised how many cool gifts you can get for less than ten dollars! Most of the crafty people I know enjoy writing with special pens or markers. For me, gel pens and extra-fine-point pens give me a way to express my creativity while doing something as mundane as writing a grocery list. 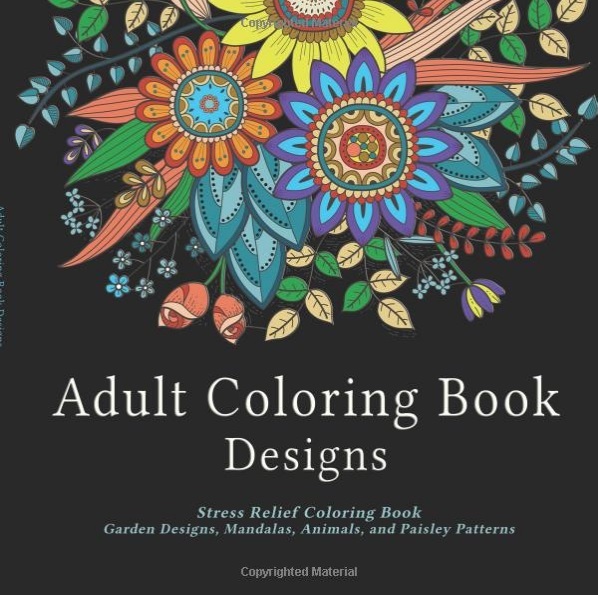 In the past few years, “adult coloring books” have really come in vogue as well. 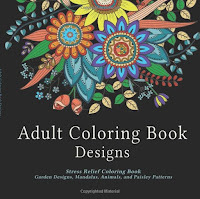 There are many great gift options for coloring books to match lots of hobbies and personal styles. If you’d like to add on to the coloring book idea, and/or if you have a giftee who loves to draw, you can’t go wrong with a package of colored pencils! These days, name-brand art supplies are available to the masses thanks to craft retailers and websites like Amazon. Know a guy or gal who loves to sew? 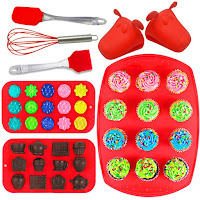 There are great little kits available for a beginner, to expand her collection, or just as an on-the-go emergency set. I never learned how to knit or crochet, but there’s a huge following out there for these arts! 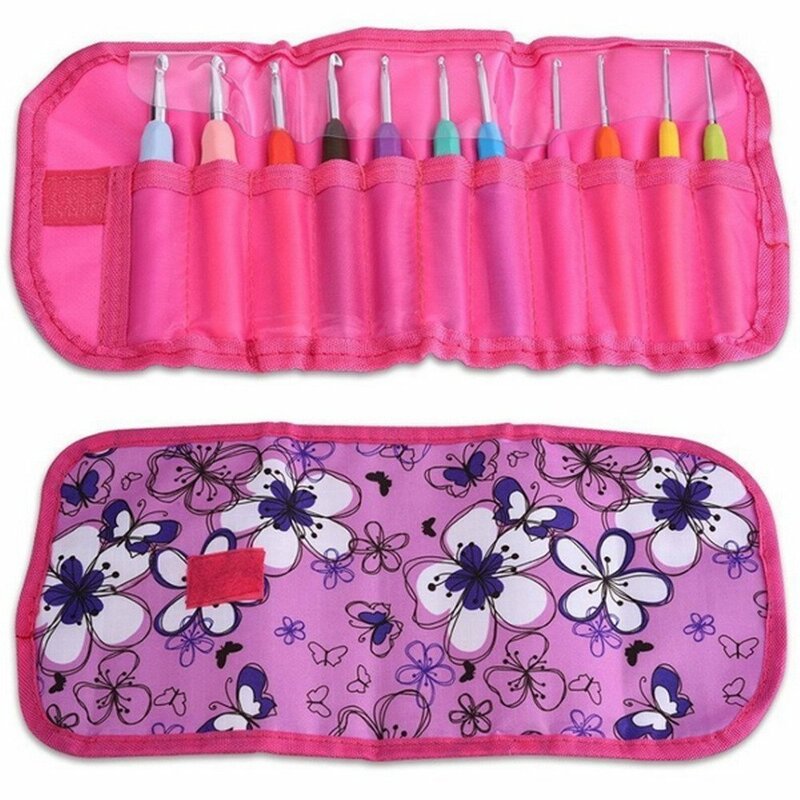 There is a variety of selections for crochet hooks, knitting needles, carrying cases, and idea booklets with great reviews for less than ten dollars. Another popular “needle art” is cross stitching. Once thought of as something for oldsters to do in a nursing home, cross stitch has found a nice little niche with crafty folks of all ages. It’s fun, easy to do, portable, relaxing, and gives a sense of accomplishment when the project is complete. It’s also inexpensive and easy to get a 100% stitch-ready kit even if you have no knowledge of what’s needed. 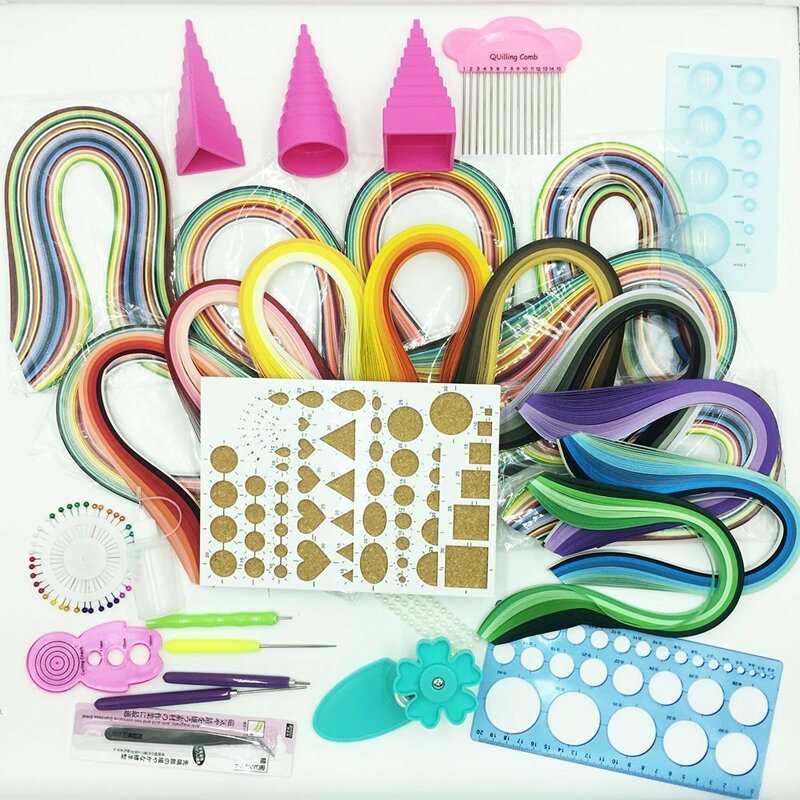 Scrapbooking and cardmaking are still high on the list of hobbies for many people, and these supplies are affordable and make for great Secret Santa gifts or stocking stuffers! 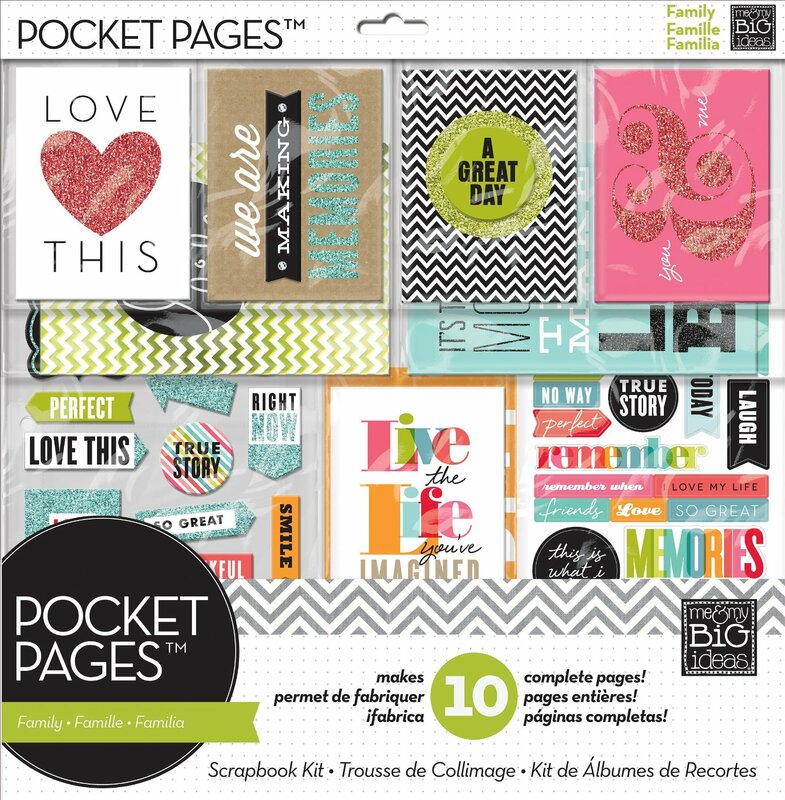 Papers, stickers, and page kits are still a great and inexpensive gift idea. Speaking of stocking stuffers, most crafty people can find something crafty to do with random arts and crafts supplies, like ribbon, paintbrushes, paint pens, chalk markers, and Micron pens! I’m a general crafter – I’ll try my hand at almost anything – and I know that someone totally “gets” me when they gift me something random, like a bag of paintbrushes and acrylic paints. These are affordable supplies, too! If you buy at a local craft store, make sure you check for coupons online before you go. Retailers like JoAnn, Michaels, and Hobby Lobby have great sales, and offer 40-50% off coupons on regularly-priced merchandise. Are you collecting too many ideas? 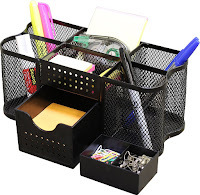 Let’s take a pit stop to look at a desk organizer to keep all these goodies in one place. If you’ve ever seen a creative person at work, you know they need help with organization. I have two of these wire organizers, and I love them. They have side compartments to keep my gel pens and Sharpies all in one place, upper sections and drawers for paperclips, erasers, bobbins, my PayPal card reader, and more. Are you looking for a gift for someone who enjoys trying new things? How about a totally new hobby with an all-inclusive kit or a book with beautiful pictures? Soap making, lip balm making, or cake decorating would be great new subjects for the adventurous crafter. For the papercrafter, or busy mom with a daily to-do list, there are options for less than ten dollars for stickers, planner paperclips, ink pads, and page protectors for her coupons or to-do lists. If you’re just generally unsure if any of these would be appropriate for your loved one, you can’t go wrong with a good old-fashioned puzzle. Subject matter and difficulty are totally at your discretion! Now let’s move on to a higher price point. For a loved one’s birthday, Christmas gift exchange, or favorite coworker, if you can spare from $10-25, I have some great suggestions. My crafty pals and I love snaps. We use them for sewing, embroidering, making keychains, and general crafts. Not to mention, they often come in handy for my role as Mom too! 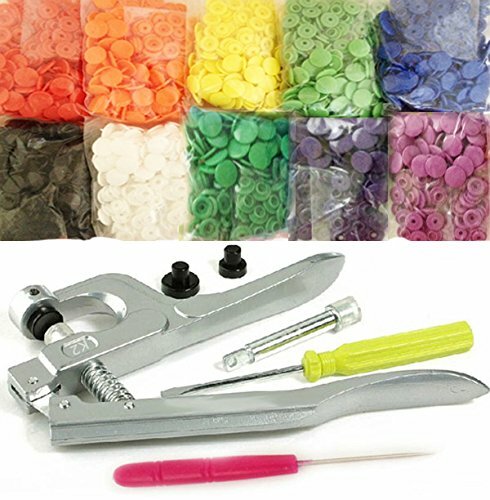 For approximately $20, you can get the hand pliers to press the snaps as well as a variety of colors and shapes of snaps! In this price range, you can spring for a variety of sewing kits, some including neat carrying cases, or perhaps a set of beautiful threads. Tip: sewists love all manner of scissors and trimmers, too. You absolutely cannot go wrong with a quality pair of scissors by a trusted name like Kai or Gingher. To go along with a great sewing set, how about some fabrics or fabric samplers? 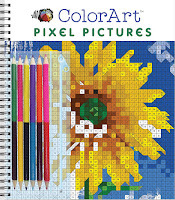 Back to the coloring books from the under-ten category, here are a few options in this price range. For $10-25, there are a lot of options available that include a book and colored pencils or markers! There are coloring books for every person’s taste and style. 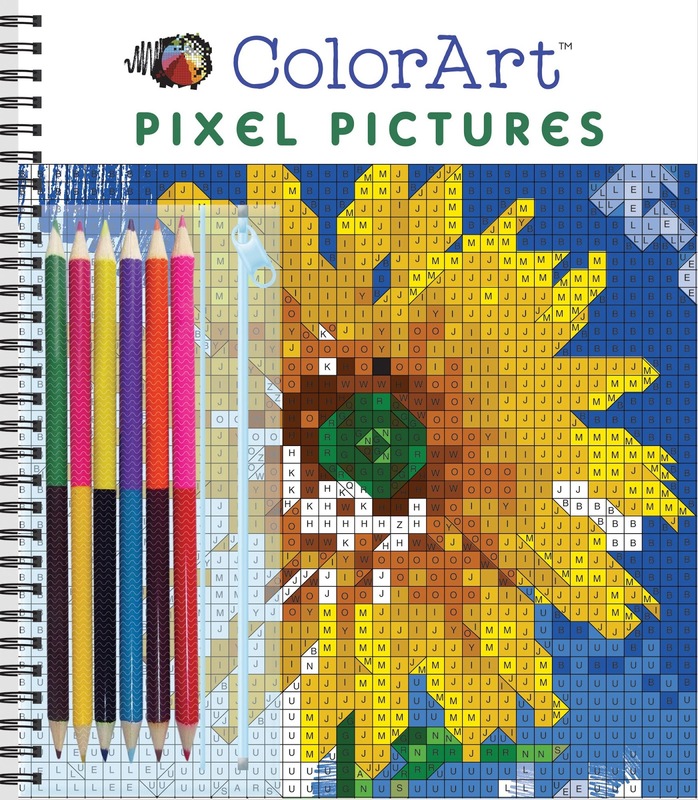 Two of my personal favorites are the internet-famous “Pusheen” the cat coloring book, and this awesome cross stitch coloring book! If your friend is more into drawing his own art, a drawing set is a great gift idea as well. You cna’t go wrong with a nice notebook or sketchbook, paper and pencils. In this price range for needle arts, you can start looking at complete kits to learn knitting or crochet, complete with a how-to book. If you have a few extra bucks, go back to the under-ten section to get some extra hooks or needles. And a nice set of embroidery floss would pair very well with a cross stitch kit around twenty-five dollars. For the creative individual who enjoys photography, and may even like to try his or her hand at it, grab a book for helpful tips for the beginner. If he’s not interested in photography, but enjoys books of others’ photographs, a coffee table book makes for great conversation on a lazy holiday afternoon. 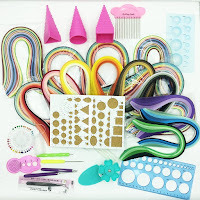 In the category of “craft randoms,” you can select from a whole laundry list of goodies, including but not limited to: acrylic paints, watercolor pencils, paintbrush sets, paint pen sets, chalk markers, or drawing sets. For the paper crafter, scrapbooking kits are an excellent choice in this price range. And if he or she enjoys handicrafts like that, how about checking out a prepackaged jewelry-making kit or a cross stitch kit? Notice in this price range, there are a whole lot of gift ideas labeled “set” or “kit.” These are perfect for a great gift, since they’re curated and packaged as ready-to-go as soon as the recipient opens her gift. No guesswork on your part, no extra trips for her to get extra items! Speaking of kits, if you have an adventurous crafter on your hands, maybe a full kit to try a new hobby is in order. How about a glass etching kit, a paper recycling kit, clay crafting, or candle or lip balm making kit? Who knows, you may contribute to your loved one discovering a new passion, or even starting a business! 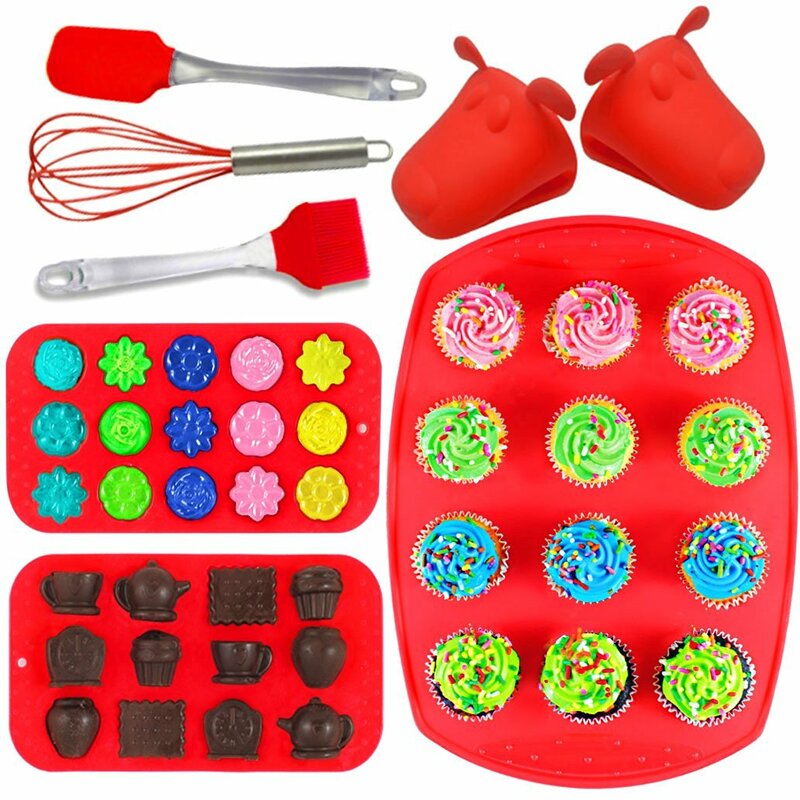 For the creative friend who loves to bake, a guide to cake decorating, frosting tips set, and/or a silicon bakeware set would surely be a hit. 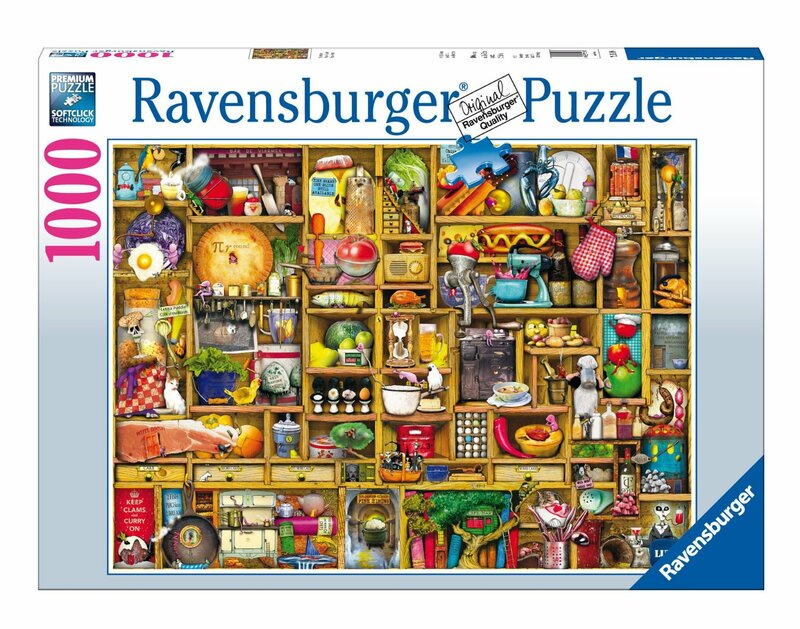 And while the cupcakes are cooking, she could sit down to work a fun, challenging puzzle! And to organize it all in their office, closet, or craft studio, you can get a ribbon organizer, desk organizer or sturdy ArtBin case in this price range as well as stamps, and oodles of choices in planner stickers for the agenda-obsessed lady or man. There is a lot to choose from in the $25-50 range! Of course, you could always go back to previous categories and select more than one goodie from one of them, as well! In this price range, it’s all about the sets and kits. Like I said before, if you know even vaguely what your creative friend or relative is “into,” you can get an amazing gift that includes everything he or she needs to get going for a day of crafting fun. You don’t have to have any prior knowledge of jewelry making, for example, to get a great set. For sewing kits and sets in this price range, expect to get a beautiful wooden or printed fabric case as well! These kits come with all the essentials, and are wonderful ideas for the beginner or experienced sewist. In the way of scrapbooking and paper crafting, there are many kits to choose from, including Christmas or holiday themes, all kinds of celebrations, and even kits that include enough materials to create an entire album or scrapbook! What a wonderful way to wrap up the end of the year. Stick with some good old-fashioned creative favorites like beautiful notebooks, watercolor pencils or a sketching or drawing set, or branch out and encourage a creative loved one to try a new endeavor with an extensive kit curated specifically to help a beginner make his own soap, candles, or lip balm. 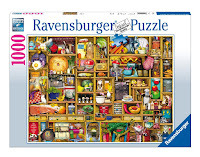 Your lucky friend can take a break from the busy day by putting together a beautiful puzzle. And we’re right back to organization! 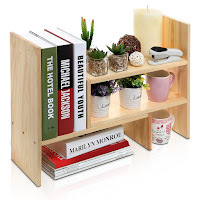 You can help your creative loved one stay on top of tasks and keep all these goodies where they belong with a beautiful wooden desk organizer, and keep track of all these new hobbies, projects, as well as family life and work with a cool planner that she designs herself. Who is the lucky guy or gal on the receiving end of a gift in this price range? If you have a knitter on your hands, look for a beautiful set of expensive knitting needles for an “Oooh” and/or “Aaah” when opening. For the sewist on your list, there are absolutely beautiful sewing kits in this price range, most of which include a quality carrying case or chest. 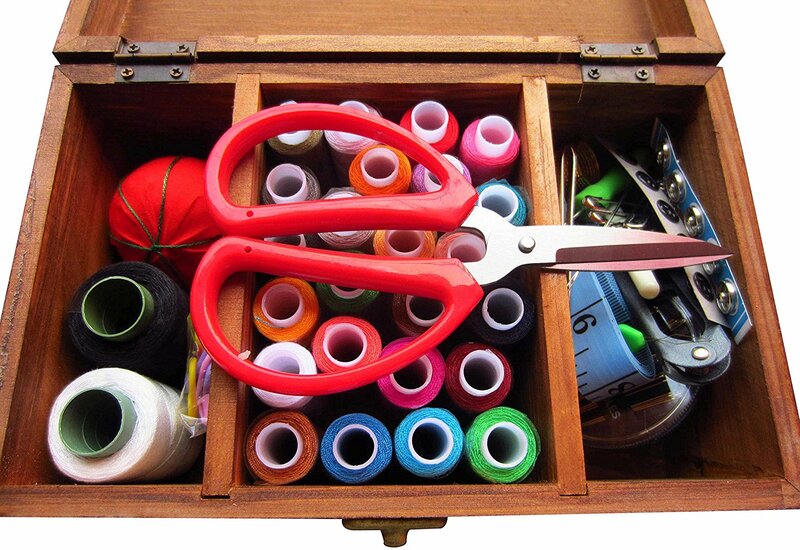 These include thread, needles, dainty trimming scissors, and odds and ends that both the novice and experienced sewist will find irresistible. 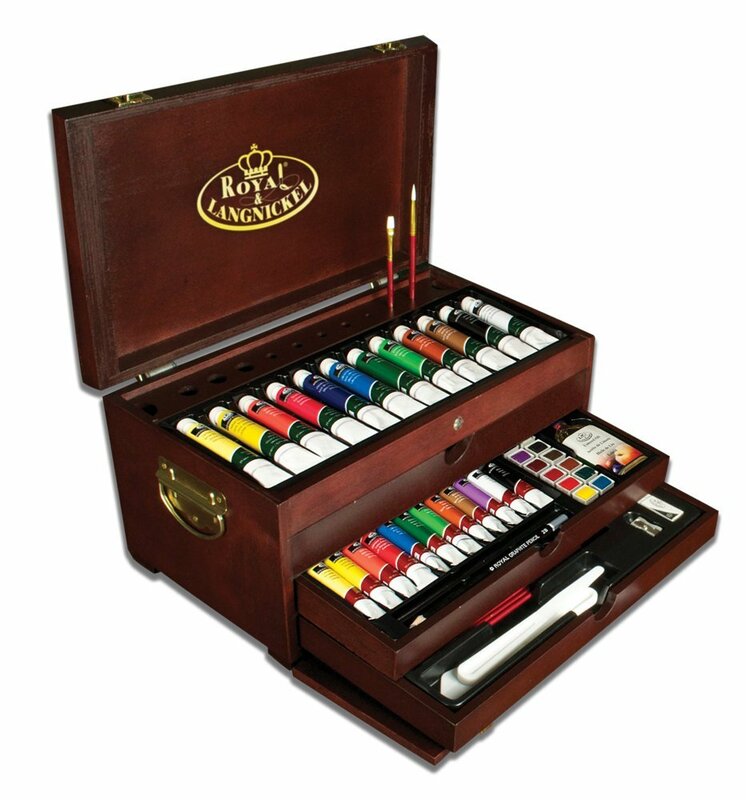 In the “random” category that I love so much, we have marker sets by Copic or Bianyo, acrylic painting sets that include easels, Sculpey clay kits, and this stunning wooden chest filled with different painting media. Or go back to basics with a mind-boggling assortment of colored pencils, or a sketchbook set that includes some of my personal favorite pens by Staedtler. There are many, many quality drawing instruments in this price range that make for a very impressive gift for an artist, from the high school student to the retired hobbyist. 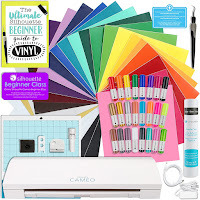 Paper crafting is still a hot hobby these days, and the $50-100 price range affords some truly impressive selections for the scrapbooker or card maker in your life. Again, at this price point, the kits often allow the user to make an entire book from what is provided. There are many options for trying something new, too. If the paper crafting suggestions above sounded good, there’s a cool craft called paper quilling that may be right up your loved one’s alley. A boxed set of photography books would be a great gift for the aspiring photographer and something he’s sure to reference again and again. How about exploring a new passion, like jewelry making or glass bead making. Young and old alike would enjoy trying her hand at making hair accessories, or taking a break completely from brain strain by working a relaxing puzzle. Oooh, look at you, big spender! Someone is on your “Nice” list this year, and lucky them! You could always peruse the previous sections and purchase multiple items from one price range, of course, but if you’re looking for a gift with a truly big “BANG” for your buck, here are my suggestions. 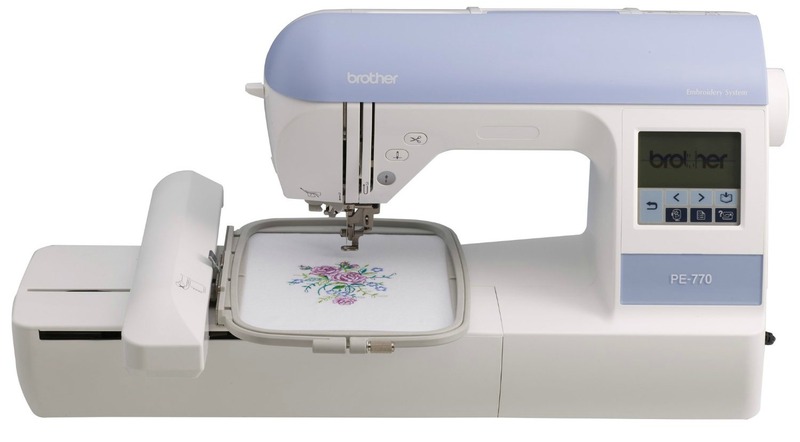 If your loved one sews, and/or has expressed any interest in embroidery, you absolutely cannot go wrong with a Brother embroidery machine. Two very popular models available on Amazon are the Brother SE400 and the Brother PE770. Note: The SE400 allows an embroidery field of only 4 inches by 4 inches, so if you have the extra money to spare, go ahead and bump up to the PE770, which features a much more popular 5 inch by 7 inch field. You don’t have to know what I’m talking about to get this, just remember: in embroidery, bigger is better. A sewing machine is an excellent gift for a crafty person, and so versatile. 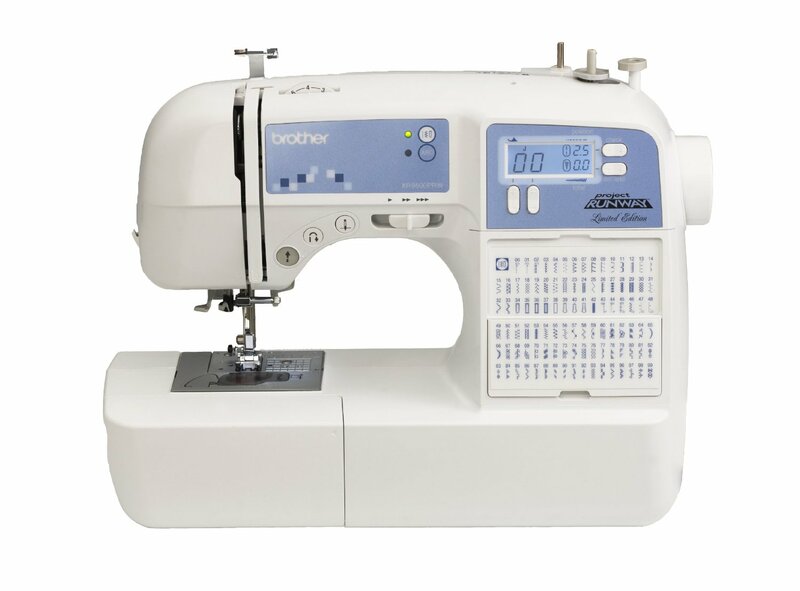 Like cars, there are many models available; I always suggest Brother if you have no experience with selecting a sewing or embroidery machine. I am not paid by Brother to recommend their machines, but I’ve had incredible success and good experiences from both my local dealers of Brother machines and the machines themselves. They’re just good quality workhorses. All through this blog, I have suggested photography equipment and books, for two reasons. First, photographers are creative, and often these creative ventures overlap with other styles, like paper crafting or sewing. Secondly, if your loved one ever plans on selling his or her “hobby” creations, a camera is crucial to taking photographs that display one’s work in the perfect light (pun intended). 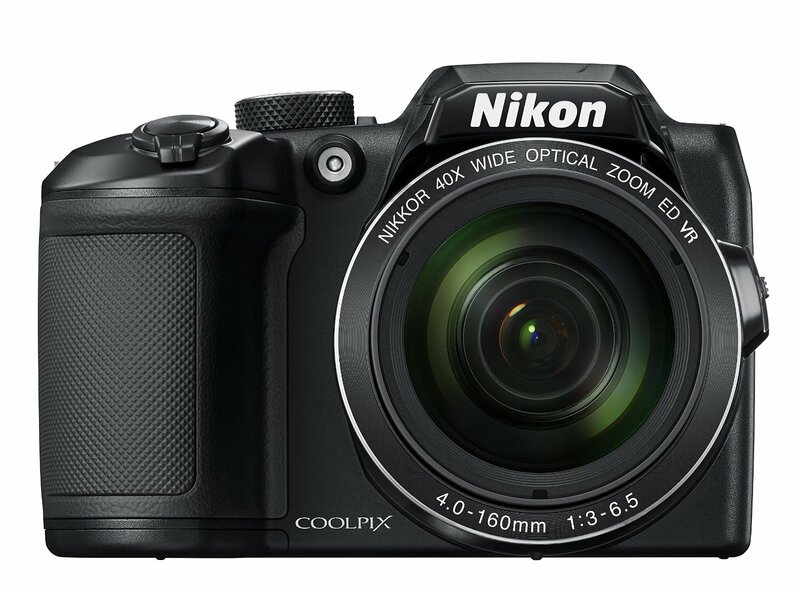 For your consideration, the Nikon Coolpix, which is a good easy-to-use camera. For the person who is genuinely interested in photography and learning about exposure, f-stops, and all that jazz, consider a more advanced camera like a DSLR (digital single-lens reflex – put simply, the cameras that have changeable lenses). Like with all electronics, they come out with new ones often, so my recommendation may already be old, but I have a Nikon D5100 and I love it. I’m not a professional, but it’s easy enough to use and learn about to get some truly amazing shots of my kids, dog, and sports-playing husband and his friends. There are many amazing brands of cameras out there; my experience thus far is only with the Nikon brand. Moving onto another hobby, crafting with vinyl (you know, the decals on your car window? Or the monogram “sticker” on your wife’s laptop?) has absolutely exploded in the past year or two. The machine behind most of the ruckus is the Silhouette Cameo, which expanded this year in its third generation. The Cameo 3 has some awesome new features such as communicating wirelessly with your laptop. 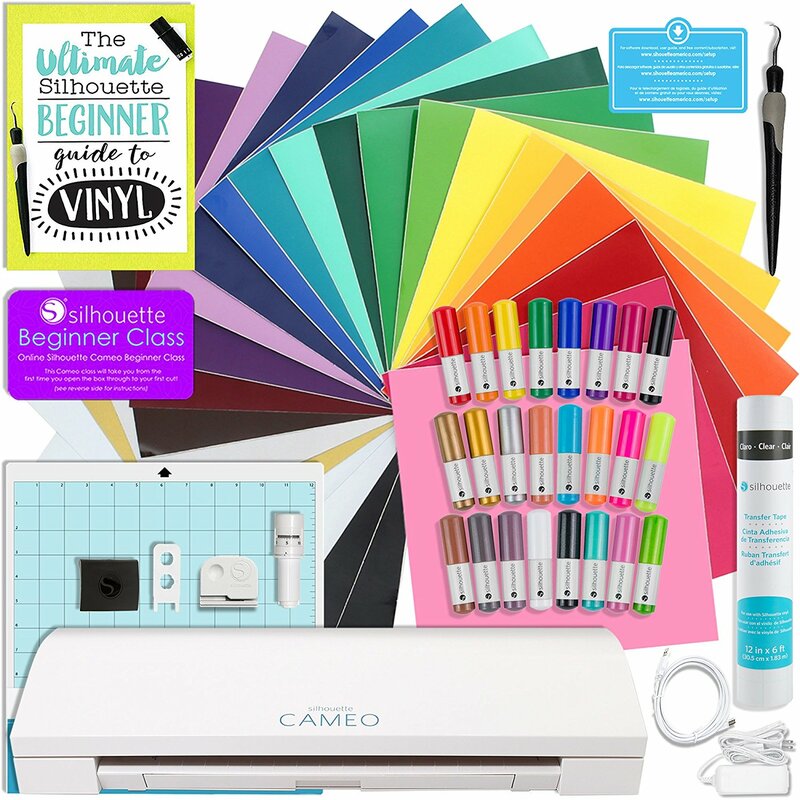 If you’re in the market for this machine, go ahead and buy the entire starter bundle so your loved one can get to creating as soon as she opens the box. For the painter in your life, how about a painting set? 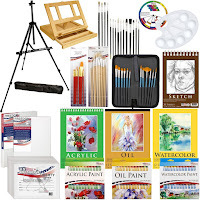 Options are unbelievable at this price point, from Japanese watercolor sets to deluxe kits that include all types of painting media so your budding artist can choose what suits him best. 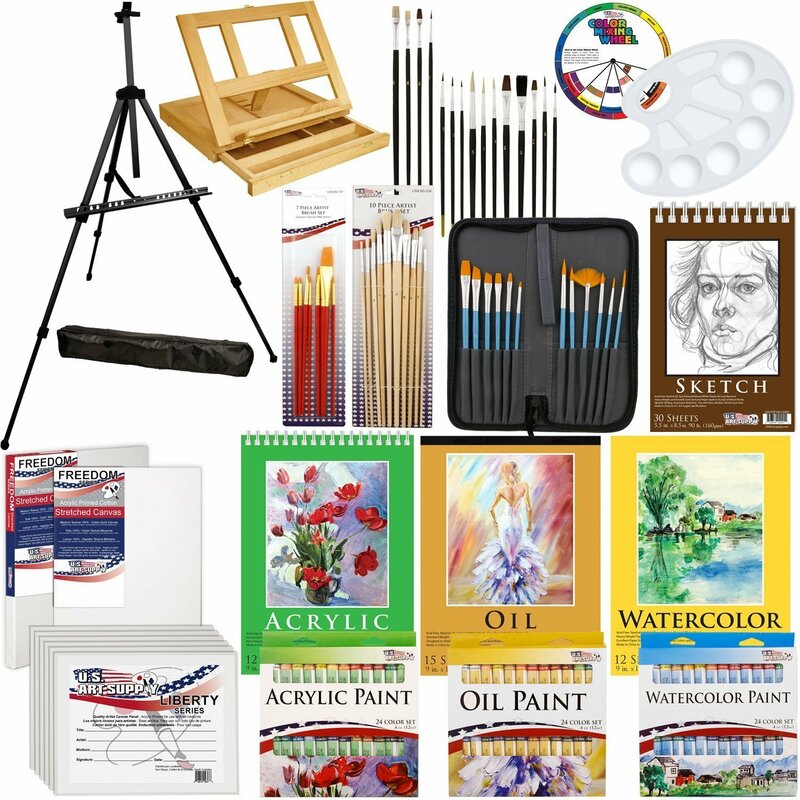 Check out this set that includes brushes of all shapes and styles, an easel, as well as a table-top easel and much more. Or if your loved one already has a great setup for painting, how about a beautiful new paintbrush set? Go back to the proverbial drawing board with an amazing deluxe drawing set, including a portfolio, several instructionsal books, and sets of quality drawing pencils. For the artist who specifically enjoys drawing with markers – and I’m speaking from experience here because drawing and coloring are my absolute faves – brush pens are all the rage and allow for so many styles of art, from calligraphy to graffiti. 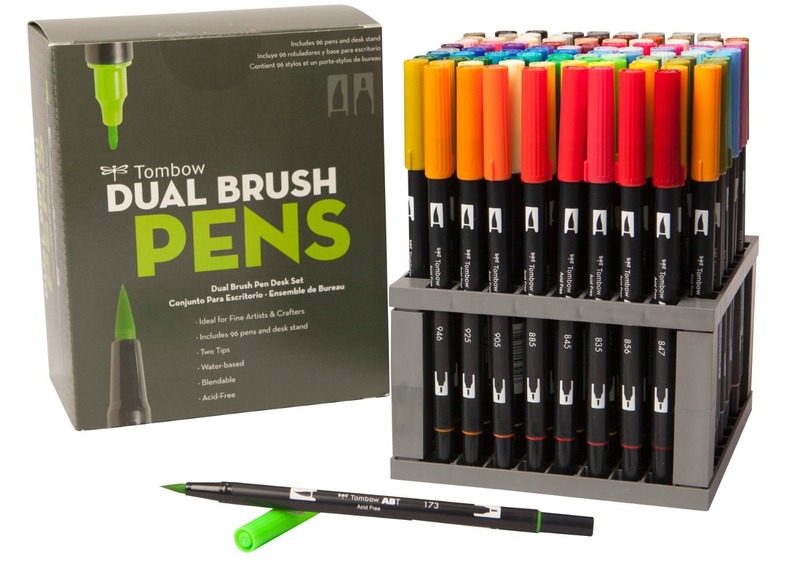 Tombow makes a beautiful set of dual tip brush pens in a container suitable for keeping on your desk or storing for later use, and tried-and-true Faber Castell also offers a set of single-tip brush pens in a rainbow of colors. I really hope that these suggestions will make your next gift-giving experience more pleasant and less stressful. I know it’s cliche, but it really is the thought that counts, so I’m sure that your creative friend will take joy in knowing that you delved this deep into the internet in an attempt to come up with the perfect gift! I will try to keep this blog updated so the prices and links are up to date, but understand that at any given time, links and/or prices may change and I may not know. If you find a broken link or incorrect information, please feel free to leave a comment below and I will investigate at my earliest convenience. Thank you so much for visiting my blog!